Ed. 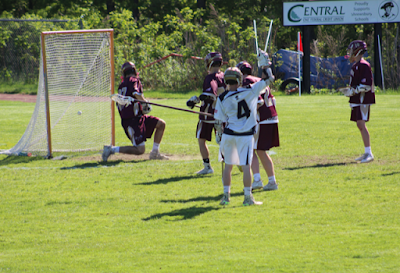 Note- Continue below for a full gallery from today's big rivalry game. Click any image to enlarge and launch a slideshow. 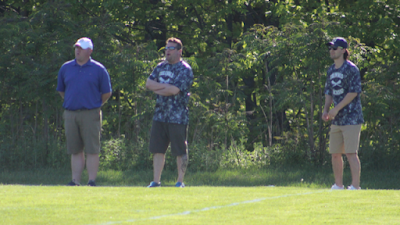 Shrewsbury, Mass. 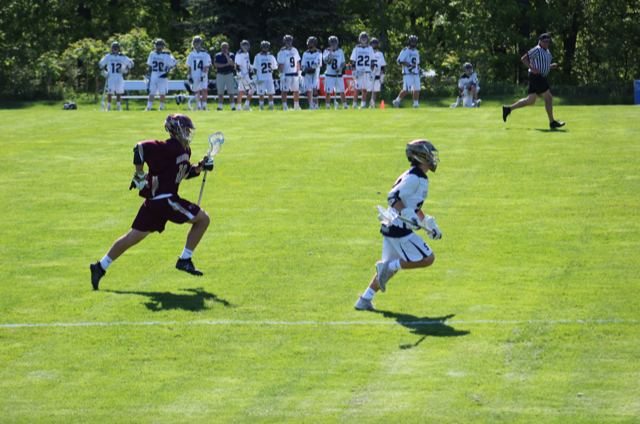 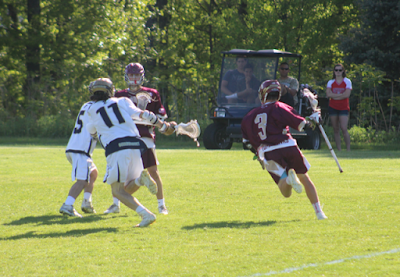 - There's no better time to play your best lacrosse than when the tournament is near, and Shrewsbury seems to be peaking at just the right time. The Colonials continued their late season roll Monday, defeating Mid-Wach A rival Algonquin 13-7 for the fifth straight win as we enter the final full week of the regular season. 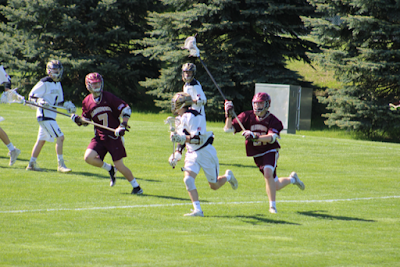 Algonquin started off the scoring when Noah Laursen found the back of the net to give the Tomahawks a 1-0 lead early on. 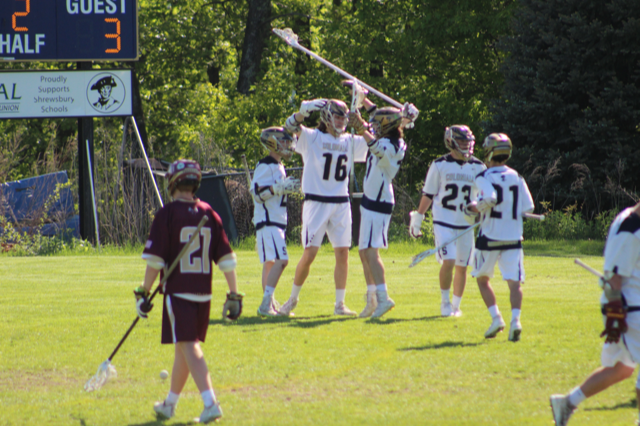 Shrewsbury bounced back when Alec Buduo scored his first, followed by his teammate Alex Cashman to give Shrewsbury the 2-1 lead. 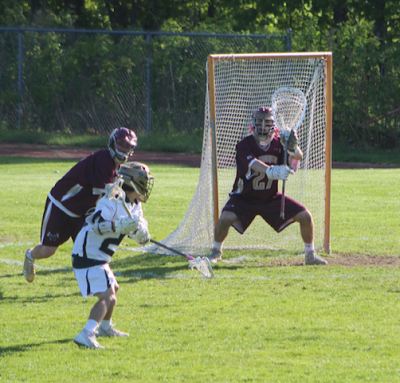 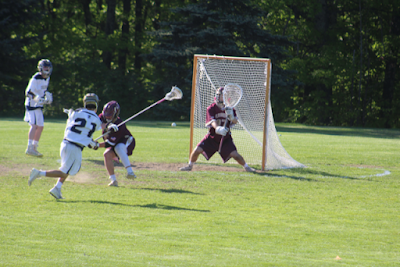 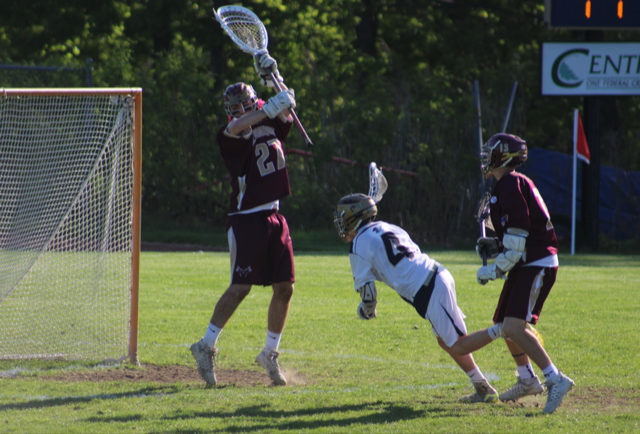 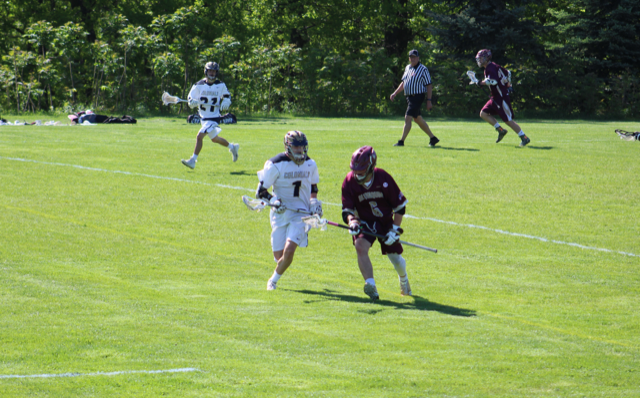 Algonquin’s Dom Russo tallied a goal near the end of the quarter to tie the game at two going into the second. Shrewsbury’s Alec Buduo started off the scoring in the second, followed by Ric Carreras of Algonquin. 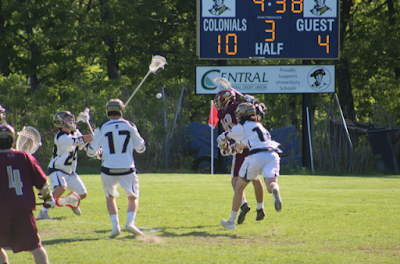 The Colonials then went on a four goal run, with goals coming from defenseman Jack Tepper, Buduo (completing the hat trick), and back-to-back Cole Russo goals. 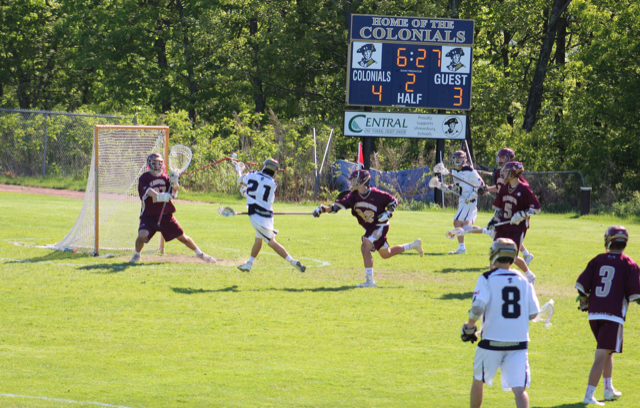 The score at the end of the second was 7-3 Colonials heading into the second half. 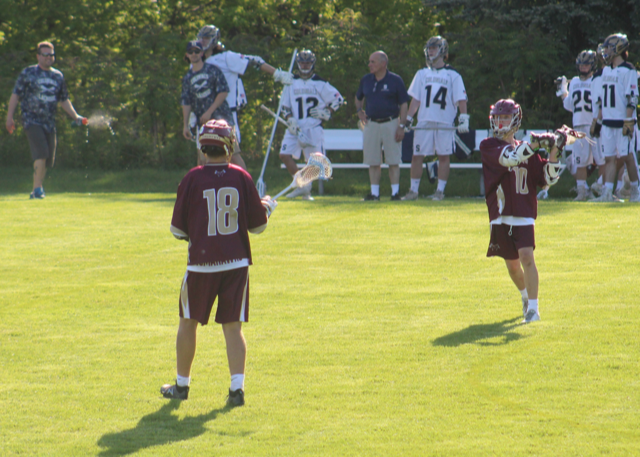 The third quarter started like the first half ended, with Shrewsbury scoring three unanswered goals, one from Buduo (his fourth), James Tepper, and Cole Russo (completing his hat trick). Algonquin began to push back when Dom Russo scored his second goal, followed by Nicholas Laursen, and then Russo again for the hat trick. 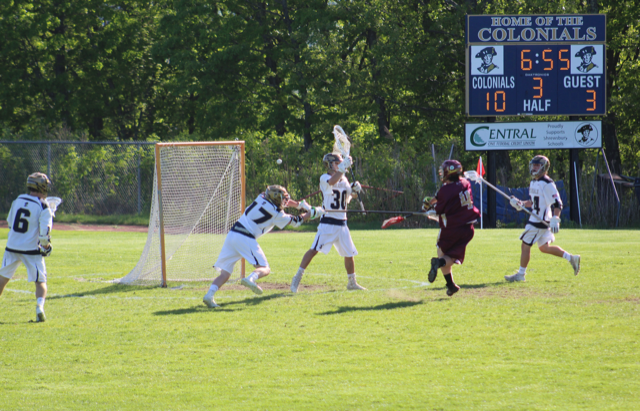 The score at the end of the third quarter was 10-6 Colonials. 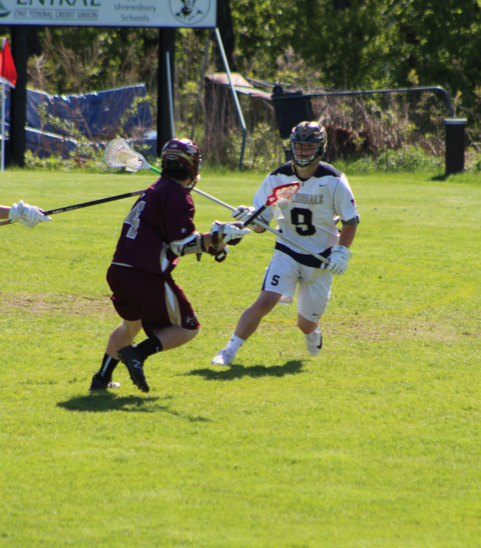 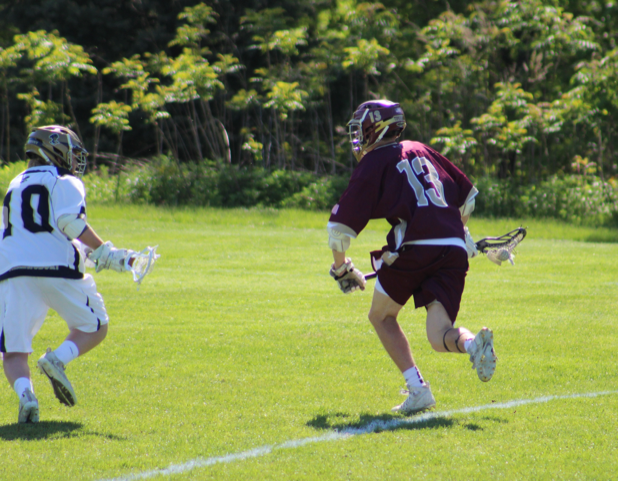 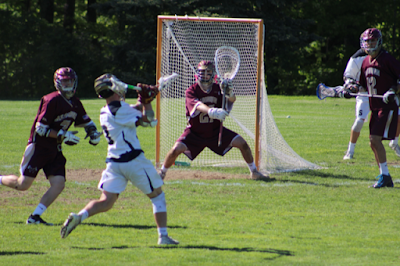 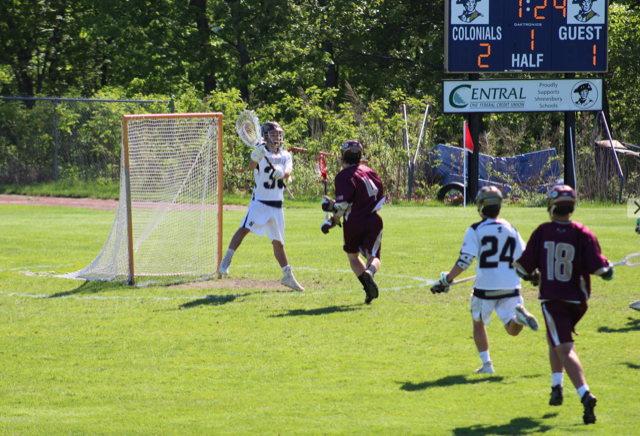 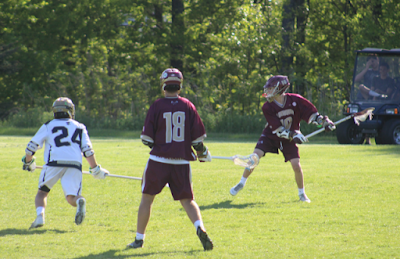 Three straight Shrewsbury goals coming from Ryan Haley, Cole Russo and Mason Kohn pushed the Colonials lead to 13-6, before Tommy Ackil ended the scoring with a goal for Algonquin to make the score 13-7. 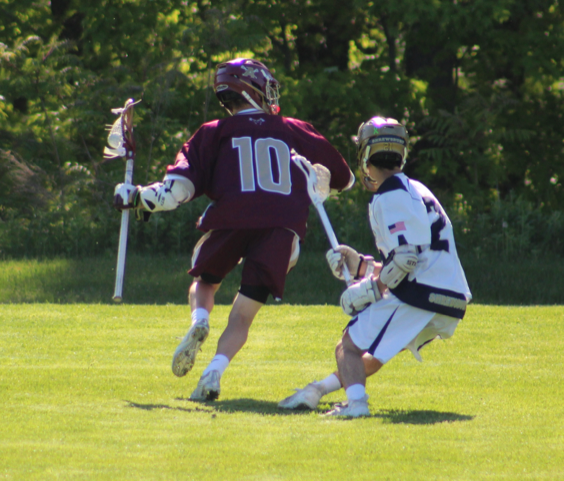 Shrewsbury (10-7) is in the midst of a five-game win streak, propelled by Mason Kohn at the faceoff X and Chris Campbell all over the field. 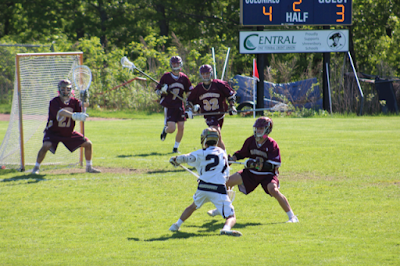 Shrewsbury seems to be playing it’s best lacrosse as we near the playoffs, which is turning some heads in Central Mass. 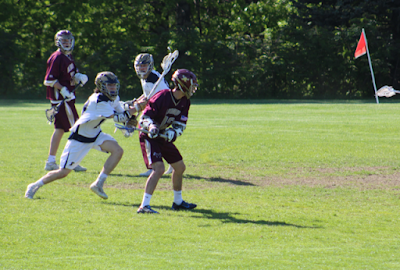 "Anytime you beat Algonquin it’s a huge win,” Shrewsbury head coach Nate Skermont said. 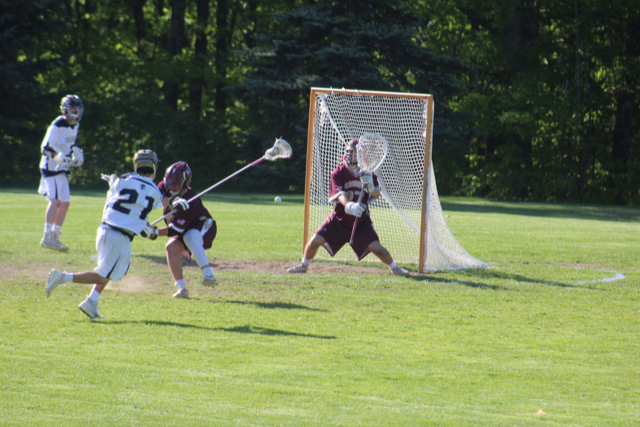 "Fundamentally, they’re one of the most sound teams you’ll ever play. 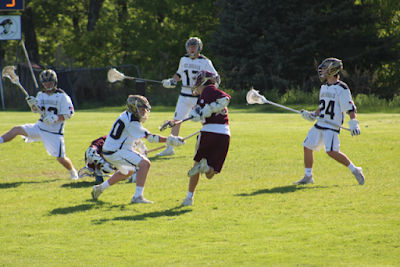 They've got high lacrosse IQ, but we knew we had to just bring some grit, win ground balls. 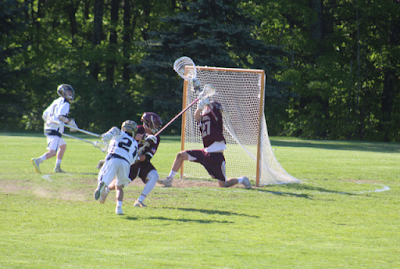 We knew we had an advantage at the faceoff X, and last time we struggled a little bit with their D (defense), so we really worked on a defense playing pressed out and I’m really proud of the guys and where this team is going right now, with five wins in a row against quality teams." The Colonials look to close out the regular season 11-7 with a win over Westfield on Monday morning, before making a run in the playoffs. 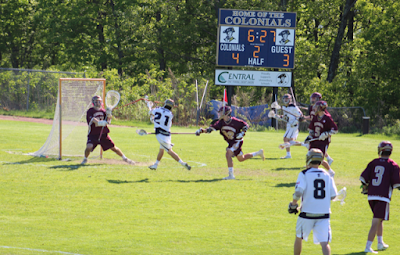 Look for the Colonials to continue playing their best lacrosse as the playoffs near. 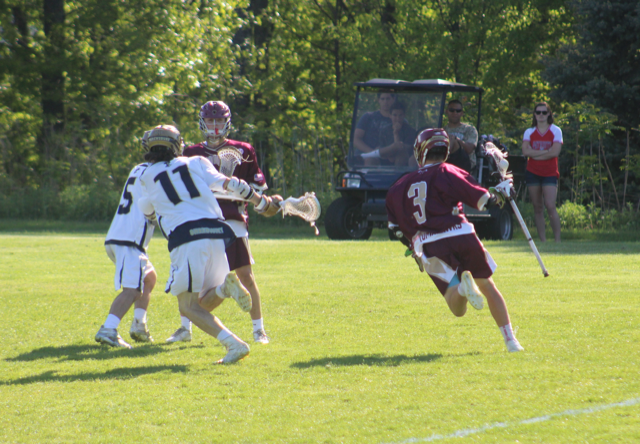 Algonquin is now 10-4, but one loss won’t stop the Tomahawks from closing out the season strong and being a force in the playoffs.